A leading world specialist, Dr Vallings was awarded the Membership of the New Zealand Order of Merit for Services to Chronic Fatigue Syndrome in 2008. She explains the illness and how it affects the body’s many systems and functions. She also provides advice on how to cope with the disorder on a daily basis and make the necessary lifestyle changes. If you are a young person who has just been diagnosed with ME or Chronic Fatigue Syndrome (that’s CFS), and even if you’ve had this condition for a while, you will find a sympathetic voice in this book. Dr Vallings is a very experienced medical doctor and she has spent much of her career helping people with ME/CFS. She explains this complicated illness in a way that is easy to understand. The book is full of great suggestions for managing everyday tasks and working through the ups and downs of the illness, and there are lots of tips on how to create the best chance of recovery. Dr Vallings has even included stories from young people who are managing this illness. Her message to young people is to learn as much as you can about ME/CFS and to actively take charge of your health. As she says, ‘Only you know how you really feel.’ Anyone caring for a young person with ME/CFS will also find this book useful. 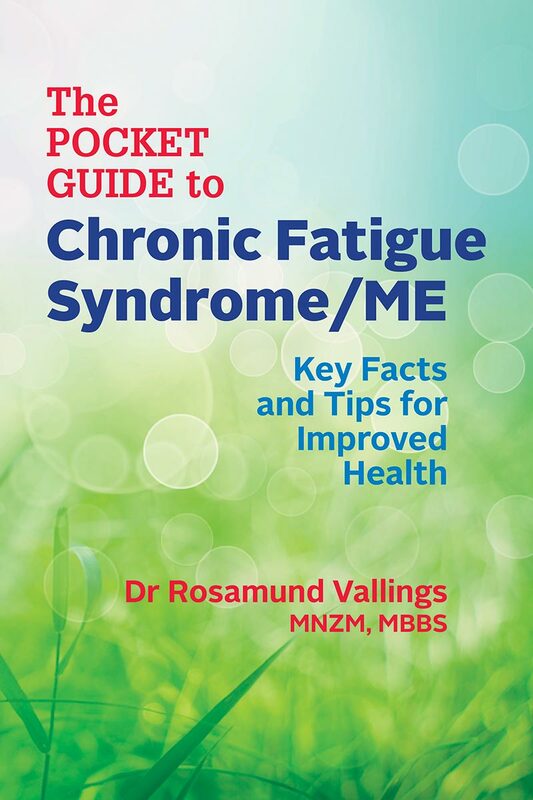 In 2012 Dr Rosamund Vallings wrote her first book, Chronic Fatigue Syndrome/ME: Symptoms, Diagnosis, Management. At that time it was the most widely acknowledged, all-encompassing treatise available on CFS/ME. In 2017 Dr Vallings has now produced a condensed version of the book, omitting the complex scientific material, and with more readable accounts of the condition. The title, The Pocket Guide to Chronic Fatigue Syndrome/ME: Key Facts and Tips for Improved Health, says it all. Written in simple terms, this book covers all the aspects of CFS/ME that any reader would most likely want to know. New topics include chapters on ‘The severely ill’, ‘Caring for someone with CFS/ME’, ‘The balancing act’ and ‘Current research and the way forward’. This entirely new material I found especially compelling. CFS/ME is still poorly understood by many people, and it continues to be a difficult illness to understand. With her encyclopaedic knowledge of the condition and her ability to communicate complex medical matters easily, Dr Vallings explains and clarifies the many inconsistencies associated with CFS/ME. Dr Vallings is New Zealand’s foremost expert on CFS/ME and in my opinion also a leading world expert in the field. She has seen over 3000 CFS/ME patients over her 40-year medical career, and attends at least two international conferences a year on the subject. Through these two arms of experience she has developed a wide understanding of the condition. I would recommend this book for all laypeople and health professionals alike. With The Pocket Guide to Chronic Fatigue Syndrome/ME, Dr Vallings has produced a work that will cheer and enlighten the CFS/ME community for years to come. Or simply phone, email, or write to Calico Publishing. We will send you a copy and will enclose the invoice for payment.